What does the UEFA Nations League mean to the home nation managers and Republic of Ireland boss Martin O'Neill? The tournament - which is live on Sky Sports - gets underway this week with England playing Spain at Wembley on Saturday, Wales facing Republic of Ireland on Thursday, Northern Ireland hosting Bosnia Herzegovina on Saturday and Scotland meeting Albania on Monday. What does the Nations League mean to you? Gareth Southgate: Opportunities for competitive games against the best countries in Europe. 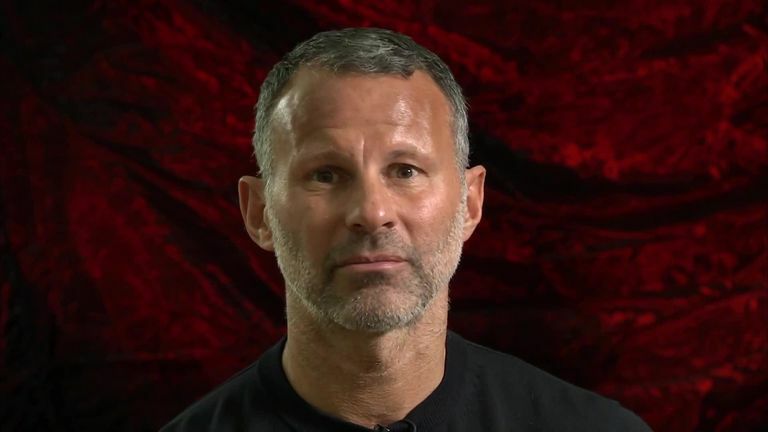 Ryan Giggs: The Nations League in a sentence is another chance to qualify for the Euros. Martin O'Neill: It means the games are more important than friendly matches. 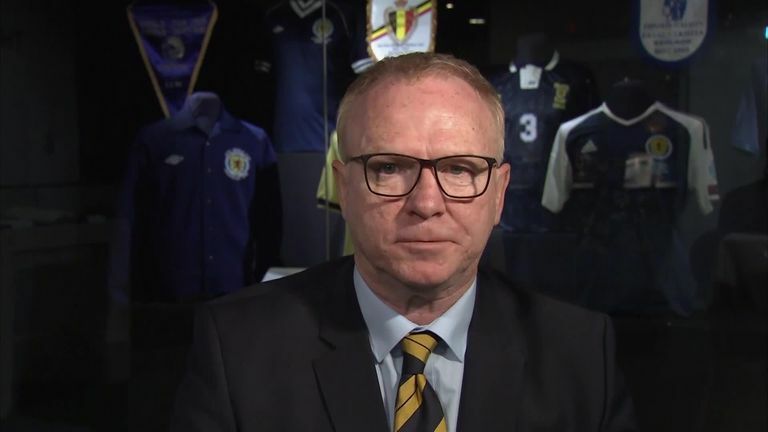 Alex McLeish: A competition, not one of those friendlies everybody hates, and a chance to get a foot in the door of the Euros. It's quite simple. 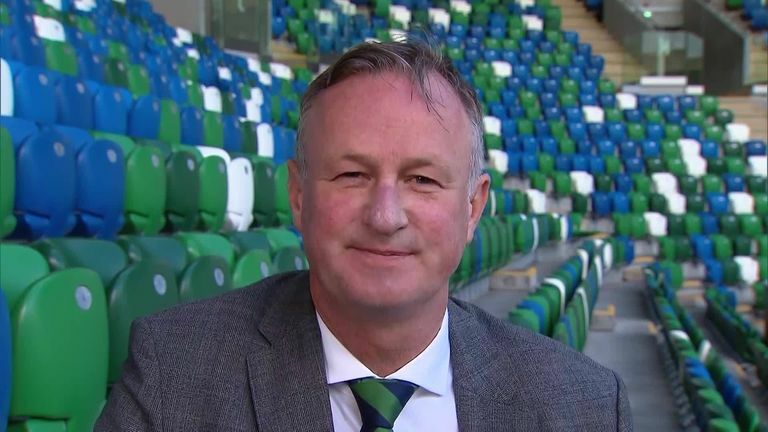 Michael O'Neill: An exciting new competition. A possible route to Euro 2020. Why do these games matter more than usual friendlies? Southgate: These games are part of a competition and we are playing for a trophy and we have an opportunity to try to beat some of the best teams. Giggs: They matter because of what's at stake. You can improve your seeding, you can be promoted, you can be relegated and like I said you can qualify for the Euros after the Euro qualifier. Martin O'Neill: They matter more because of seeding and because of the coefficient. And also because if the team can win it can affect what position they might end up in for the European seeding. McLeish: For the very fact and reason that you can get a play-off qualification place, if you win your group then you get promoted to a higher group in the next term of games. Michael O'Neill: Games with a competitive edge against top-class opposition. What does success in the Nations League look like for you? Southgate: In the last year or two we haven't beaten the top sides so it gives us a chance to reverse that trend. Giggs: Success in the Nations League is top of the group and in the future trying to get in pot A with all the big teams. Martin O'Neill: It's difficult because we are in against Wales and against Denmark, who knocked us out to qualify for the World Cup. We beat Wales to actually get to that play-off so they'll be tough matches. McLeish: We love success, we love to win. We haven't been in a big competition for a long time, and the Nations League gives us that opportunity to get the Tartan Army through to see us in a major finals. Michael O'Neill: Winning our group and gaining promotion to the top tier. Who do you think will be the toughest team to face in your group and why? Southgate: We have a really tough group and we know the strengths of both teams so I don't think there's an easier game. Giggs: Both teams will be tough to play against. We know the Republic well and we've played against them recently. Denmark have just been to the World Cup and performed fantastically well. No game will be tougher than the other. They'll both be tough. Martin O'Neill: I don't think there is much between the sides. Wales now with Gareth Bale will be extremely strong and Denmark, having done so well in the World Cup to qualify for the knockout stages, will be feeling pretty confident. McLeish: They're both difficult opponents. There is a real good standard in world football at the moment. Going away from home is never easy, the partisan crowds, but we have won in Israel before. We have as good a chance as anybody in the group. Michael O'Neill: Both of them with be extremely difficult games. What message would you give to the fans before this campaign? Southgate: We are looking forward to coming back to Wembley and playing in front of our supporters. We felt tremendous support all summer and we are looking forward to continuing that connection with the fans. Giggs: Come out and support us. It's a new competition and you'll enjoy it. It's going to be competitive and it gives us a chance to qualify for the Euros so it's really important you get out there and support the lads. Martin O'Neill: The Republic of Ireland fans have been absolutely fantastic in terms of coming to support us both home and away. Do you know what, I'm not sure I have a message for the Republic of Ireland fans? They take their own messages. McLeish: I would absolutely love if they can fill the stadiums. I know they love to go on their travels so no doubt we'll see the Tartan Army away from home, but it would be fantastic if they filled the stadium here at home, which would give us such an enormous boost, and would help the players. We've always called the Tartan Army, when they fill the house, an extra player. We want 12 men on that pitch. Which of the home nations would you least like to come up against and why? Southgate: We don't have to play any of them right now so we don't have to worry about that at the moment! Giggs: I don't think I'd like to play any of the home nations purely because you want to play against teams in Europe who maybe you don't know as much about. Whereas with the home nations you know the majority of the players. 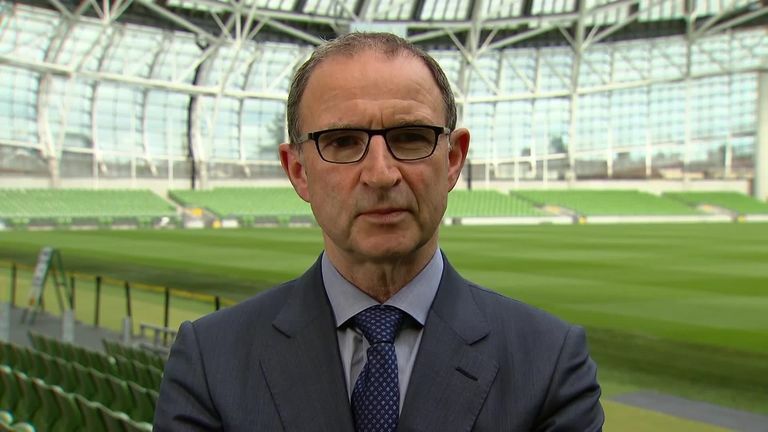 Martin O'Neill: At this moment I think it would actually be nice to play England, having done so well at the World Cup. They reached the semi-finals and were very close to being in the final. They had a tremendous tournament and it would actually be nice to play them, but of course we are not drawn against them. McLeish: Each one of them is a challenge. I don't single any of them out. I'd love the challenge of going against any of them. Michael O'Neill: England, after their great World Cup. What's your favourite international memory? 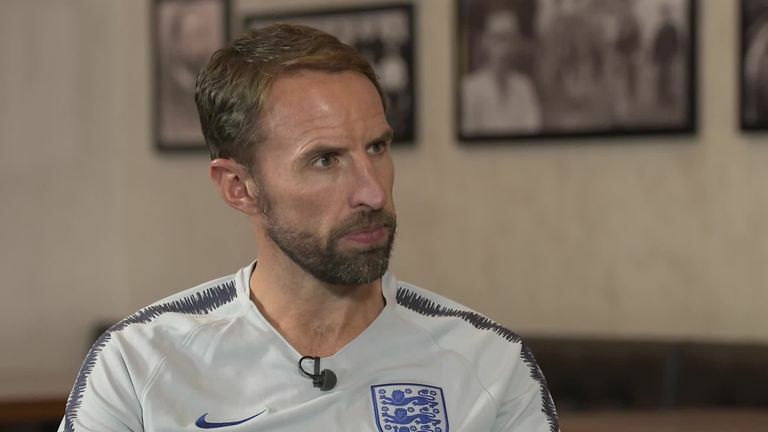 Southgate: For years it was England against the Netherlands at Euro 1996 but now I'd have to say being manager at a World Cup and reaching the semi-finals would be my favourite memory. Giggs: It was my debut at the old Cardiff Arms Park against Belgium. I managed to score a free-kick and it's my favourite international memory. Martin O'Neill: In my time are Republic of Ireland manager there have been some great ones, particularly at the Aviva Stadium. We beat Germany the world champions, we beat Bosnia to qualify for the Euros and actually in the Euros we beat Italy to make it to the last 16. Those are three particularly strong memories. McLeish: I think probably getting my first cap was an amazing thrill, but also being made captain against France, beating France in a qualifier, is just stuff made of dreams. Michael O'Neill: Beating Greece 3-1, and qualifying for France 2016. What do you think the future holds for your side? Giggs: The future for Wales is bright. We've got a lot of good established players, world-class players but also a crop of young players coming through who are ready to challenge the more established players. Martin O'Neill: It may not be in my time or even the next manager's time, but if you look at some of the young players that are coming through at U17, U18 and U19, when they come through I'm hoping that Ireland will be very, very strong. What I am looking for is that for Ireland, when they take the field against big nations in the World Cups or in the European qualifiers that a lot of these players are playing Premier League football and that some of them have played in the previous week in the Champions League. That would be brilliant. McLeish: We have a group of young players, and it's now up to these chaps to take up the gauntlet, make a name for themselves, and make the nation proud of them, by being successful. Michael O'Neill: We want to keep punching above our weight!